Clos La Madeleine is a small Bordeaux vineyard located just outside the St. Emilion village on the La Magdeleine, limestone plateau. When the estate was first created, their Saint Emilion wines were sold under the name of La Magdeleine. Clos La Madeleine was resold in 1911 to the Gachassin-Lafite family who coincidentally were also Belgian wine merchants, like the previous owners. The Gachassin-Lafite family, Charles Pistouley and Jacques Cassat formed a company to manage the estate in 1928. In time, the others sold their shares to Charles Pistouley. His heirs sold Clos La Madeleine in 1992 to an investment group, the SOGEFI company. The new owners also obtained additional vines when they purchased the vineyards of Magnan La Gaffeliere and La Tondonne. 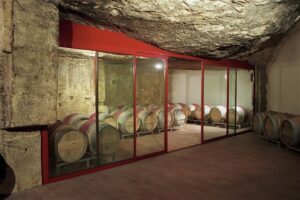 Extensive improvements were made at Chateau Clos La Madeleine by the new owners which included building a new vat house and barrel aging cellars. The cellars were constructed in their deep, limestone quarries. In July 2017, Clos La Madeleine was sold to Ets. Moueix, the owners of the neighboring vineyard, Chateau Belair-Monange. While the fate of the estate is not known today, it is expected that Clos La Madeleine will continue as a unique vineyard. Chateau Magnan la Gaffeliere, which has 10.5 hectares of vines in Saint Emilion planted to 75% Merlot, 20% Cabernet Franc and 5% Cabernet Sauvignon was also sold to Ets. Moueix in the same transaction. The small, 2.5 hectare vineyard of Clos La Madeleine is planted to 76% Merlot and 34% Cabernet Franc. Although you should expect to see that proportion change over the years with the new change in ownership. The vineyard is situated next to Belair-Monange and the vineyards of what used to be Chateau Magdelaine, which all share similar, deep limestone and clay based terroirs. The hillside terroir has a south facing exposure. 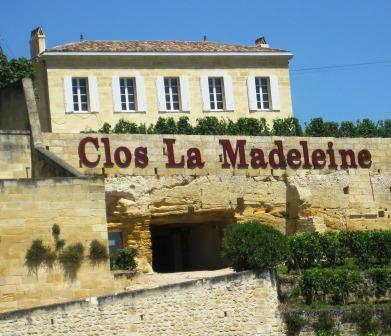 The wine of Clos La Madeleine is fermented in small stainless steel tanks. 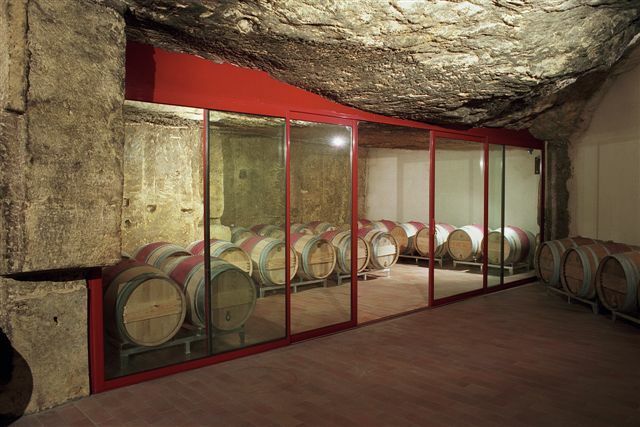 Malolactic fermentation is performed in French oak barrels. Chateau La Madeleine is aged in an average of 50% new, French oak barrels, although that can change, depending on the character of the vintage. Chateau Clos La Madeleine was consulted by Hubert de Bouard of Chateau Angelus until 2017. The production of Chateau Clos La Madeleine is small. On average it ranges from a low of 500 cases to as much as 700 cases of this St. Emilion wine per year. Clos La Madeleine can be enjoyed on the young side with decanting. Young vintages can be decanted for an average of 1-2 hours, give or take. This allows the wine to soften and open its perfume. Older vintages might need very little decanting, just enough to remove the sediment. Clos La Madeleine is usually better with at least 4-5 years of bottle age. Of course that can vary slightly, depending on the vintage character. Clos La Madeleine offers its best drinking and should reach peak maturity between 5-17 years of age after the vintage. Clos La Madeleine is best served at 15.5 degrees Celsius, 60 degrees Fahrenheit. The cool, almost cellar temperature gives the wine more freshness and lift. Clos La Madeleine is best paired with all types of classic meat dishes, veal, pork, beef, lamb, duck, game, roast chicken, roasted, braised and grilled dishes. Clos La Madeleine is also good when matched with Asian dishes, rich fish courses like tuna, mushrooms and pasta. The salty rocks, licorice, smoke and red fruits are the first thing you'll find, but most of the excitement will happen on the palate with its silky, sweet, fresh, red fruits and licorice nuances. You can drink this early, but aging will help the wine develop more complexities. Dark ruby in color, the wine offers flowers, boysenberry, crushed stone and black cherry. Medium bodied, supple and fresh, a few years in the cellar will add nuance to this wine. Mineral-driven with soft, sweet, ripe fruits and polished, silky tannins, this medium-bodied, fresh, evocative wine offers ripe, lush, stony fruits from start to finish. Fresh, sweet, plums, vanilla and earthy notes, with a round, forward finish. Medium bodied, earthy, mineral driven wine with fresh plums, cherries, tobacco and thyme. This is ready for consumption. There is no hurry to drink it. But it is not going to get much better.